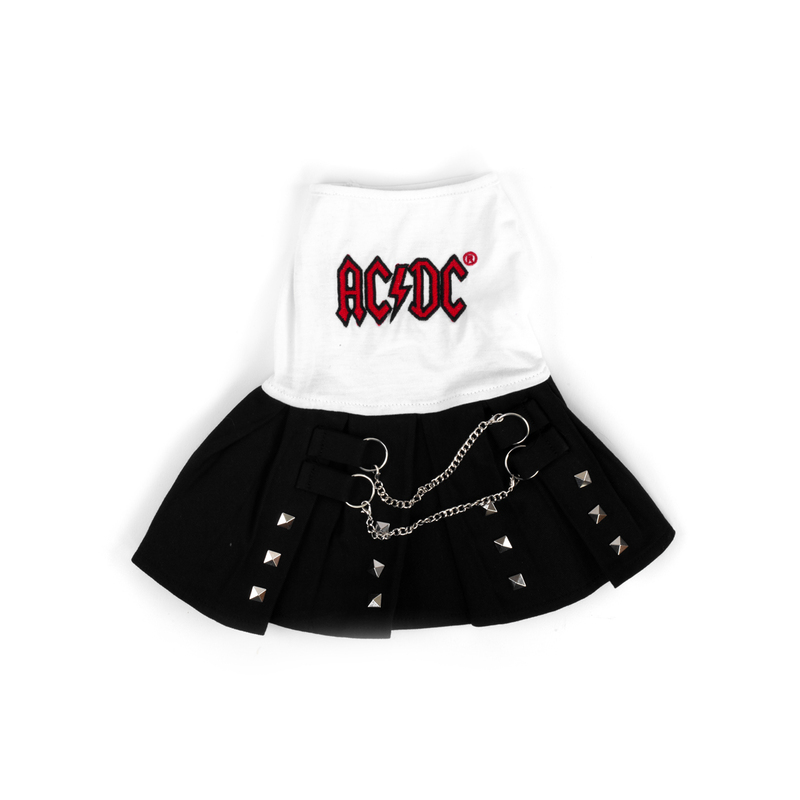 This is the most adorable doggie skirt! I just love it!! First, I have to say I could not figure out what size to order so that was a bit of a challenge. I have a Yorki Poo which is approximately 16 pounds. I ordered a size medium and it fits perfect! The outfit is well made, but the skirt is not leather; it is fabric. The chains are detachable.